Our Head of Home Buying Liz recently discovered new coffee shop Four Corners Café, tucked discreetly behind Waterloo station, complete with our very own Laura Ashley ‘worldly’ home accessories; our classic Globe and Antique Map Print Cushions. Globe / map themes are having a moment in fashion and interiors this season but Four Corners Café is now our permanent go-to for a fine quality brew, a chat with the inquisitive staff and a slice of their epic chocolate flavoured bread. Spotted! 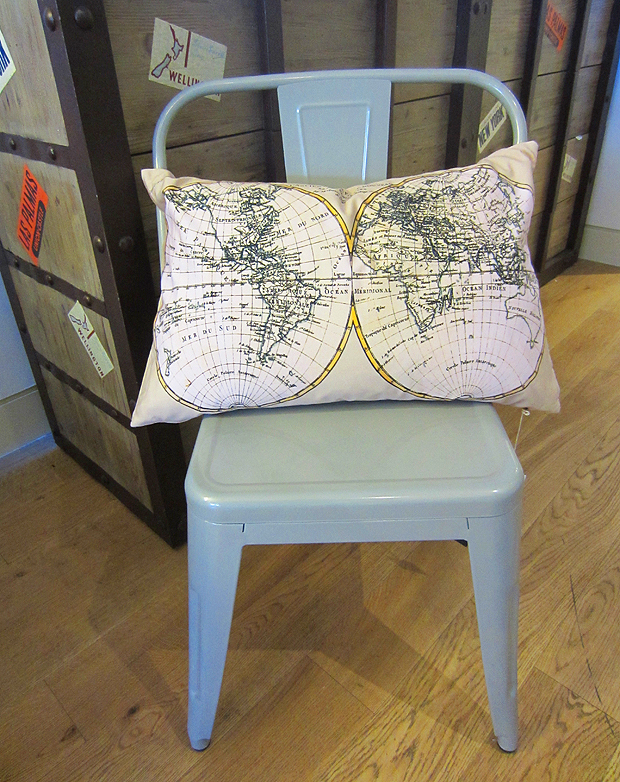 Our very own Antique Map Print Cotton Cushion, adding a touch of comfort to this industrial café chair. 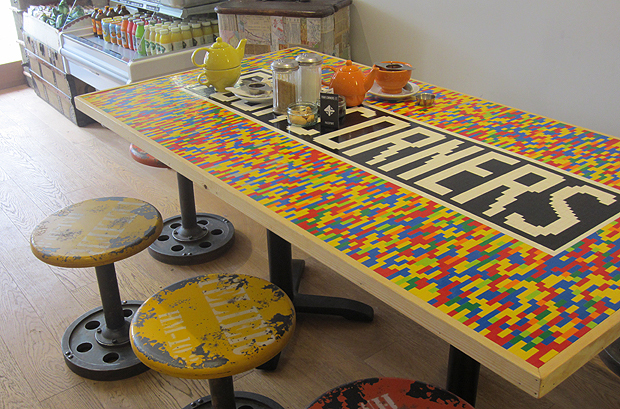 The lego table handmade by owner Gary using individual lego building blocks. The café’s stand out piece of furniture and undoubtedly a labour of love. 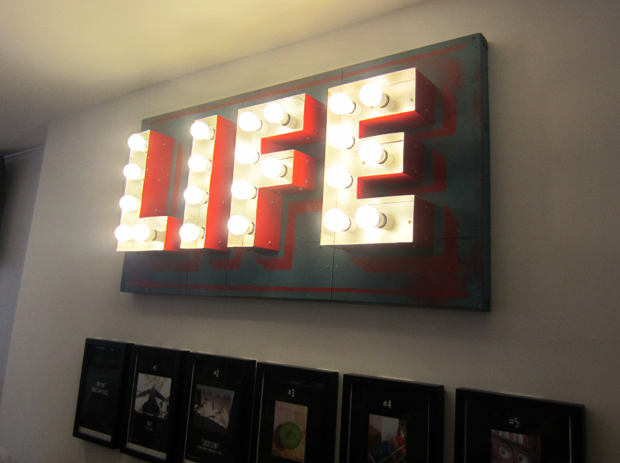 This illuminated ‘LIFE’ sign was sourced off eBay and injects a bit of illuminated fun into the space. 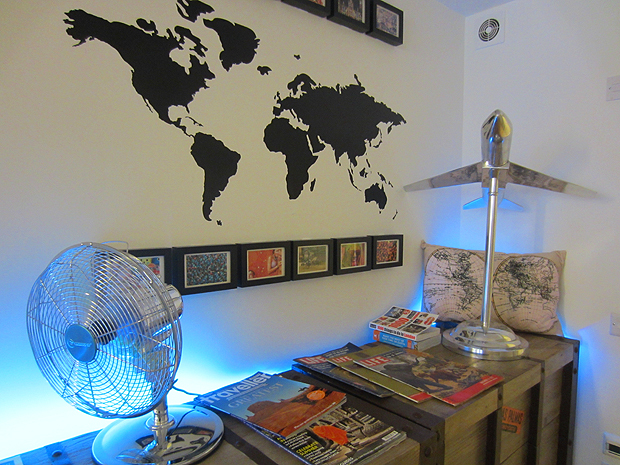 Vinyled maps adorn the walls, along with colourful photographs of famous international festivals / events and far-flung destinations. Can’t get a table at the new Balthazar restaurant in London (we hear its fully booked for the forseeable future)? 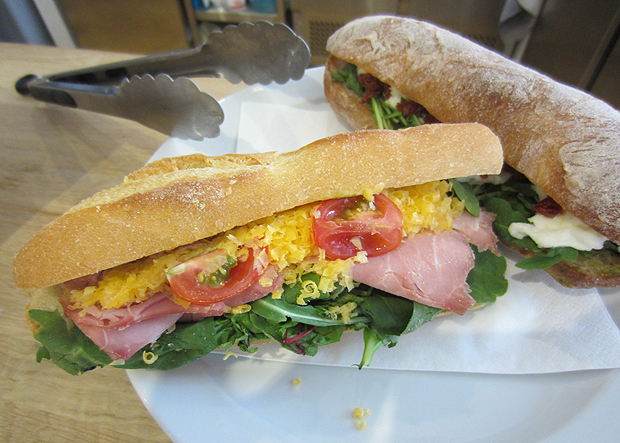 Then you’re in luck as Four Corners café are offering their delectable breads and pastries. I had my eye on this gigantic cheese baguette! Flying solo? 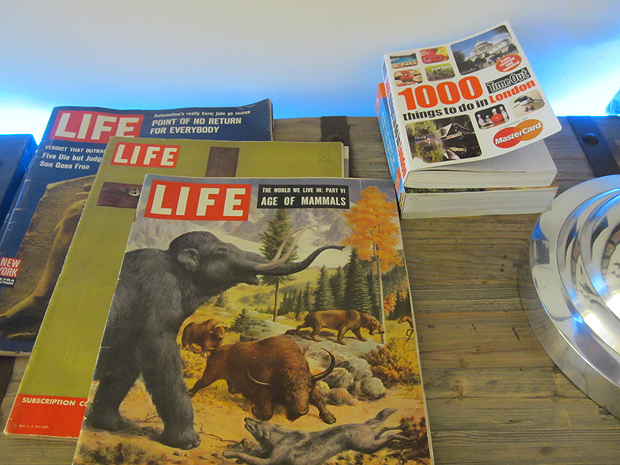 Why not grab one of the travel / life magazines over a cuppa? 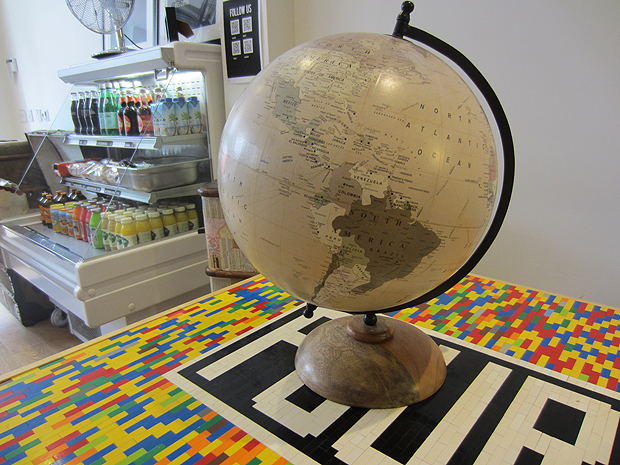 What globe trotting themed café would be complete without a globe to plan your next international adventure? Fancy having a natter about your latest expedition, planning your next trip or simply taking some time out? 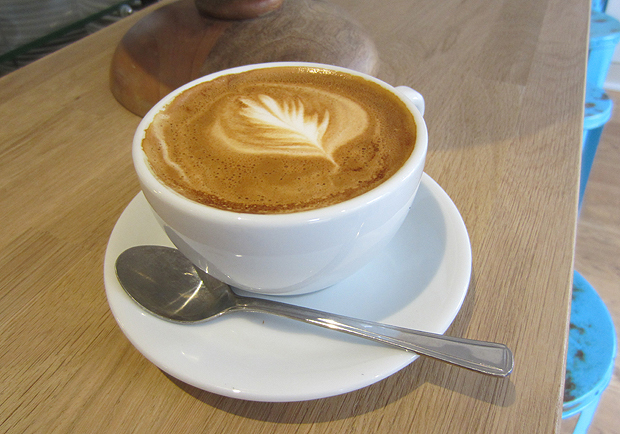 Then Four Corners Café is the place for you. Scoured from the four corners of the globe, expect an evolving menu of yummies throughout the year. See you there! 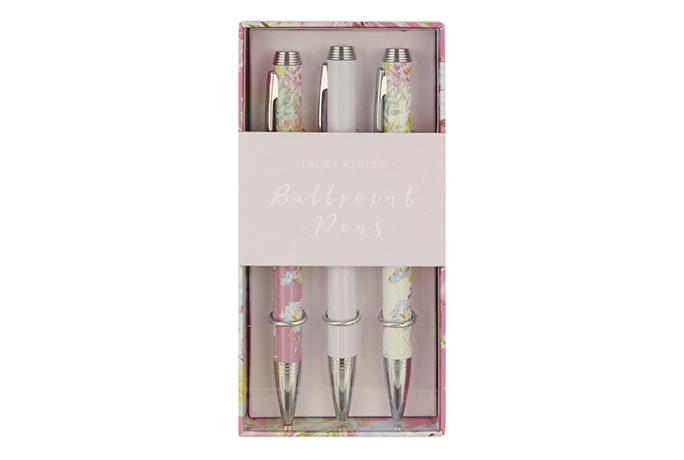 Wow this looks right up my street. 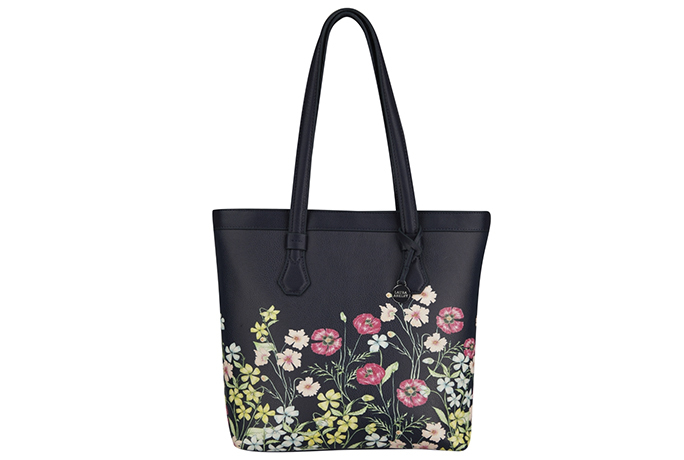 On my list!